Whether it is your home or business, security is a factor that cannot be taken lightly. You don’t want any intruders invading your personal space or getting away with something valuable. The best way to ensure this doesn’t happen is to install a reliable and efficient security system. Nowadays, there are different types of security systems that can be found, with each having unique features. Therefore, it is easy for people to get confused. The simple thing for them is to opt for a renowned brand such as ADT, which is a popular alarm and security company. 1- This home security system comprises of a myriad of features that can ensure complete and effective protection. The ADT Pulse security system allows users to kill two birds with one stone; they are able to protect their property against intruders and also have the power to conserve energy, thereby saving money spent on utility costs. Regardless of their location, people can use their tablet or smartphone for changing the home temperature, controlling lighting and appliance for achieving energy efficiency, activating or deactivating the security system, receiving email or text alerts, unlocking and locking doors, viewing history and turning lights on and off at different intervals, provided they have access to the internet. 2- The online system is quite easy to understand and operate. The online portal of the Pule security system has been designed to be user-friendly. A fancy system is not going to do people any good when they don’t know how to operate it. People can log onto the system with any device and simply push a button for watching their home or business from just anywhere. It is just one button they need to push for controlling other functions and using the aforementioned features. 3- ADT has also made the Pulse security system highly interactive for their customers via the touchscreen. 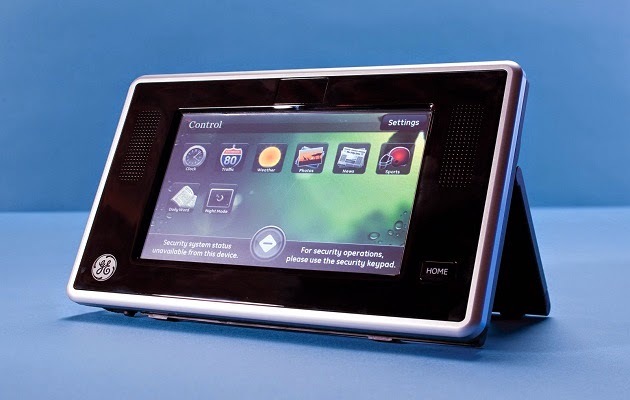 People can enjoy ultimate interactivity with the touchscreen installed in their homes. Not only is it convenient, but also highly functional because it helps people in viewing live camera feeds, sending emergency alarms, viewing photos, controlling the lights, checking the traffic, reading the news and a lot more. 4- The brand name is one of the most trusted ones in the market. You can conduct a research on the internet and read the customer reviews provided. They will show you that ADT is indeed the best security firm out there and that the ADT Pulse security system can offer maximum security at the most reasonable prices. The company has control centers in numerous regions of the country so people can get immediate assistance if they need and provide their homes and business with the ideal security.